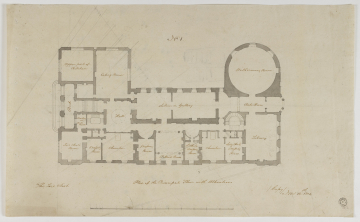 Drawings 62 and 63 made on 12 November show the final alternative designs for the western end of the house. These include differing designs for the stairs as well as (design No.1) for a new eating room on the north side. Neither of these proposals were carried out.